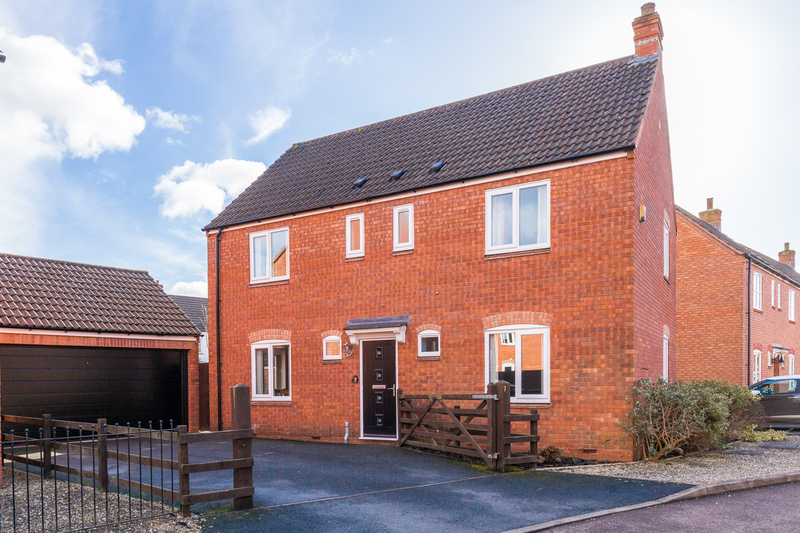 7 John Lee Road is a beautifully presented modern four bedroomed detached family home situated on the outskirts of Ledbury town within the New Mills development. 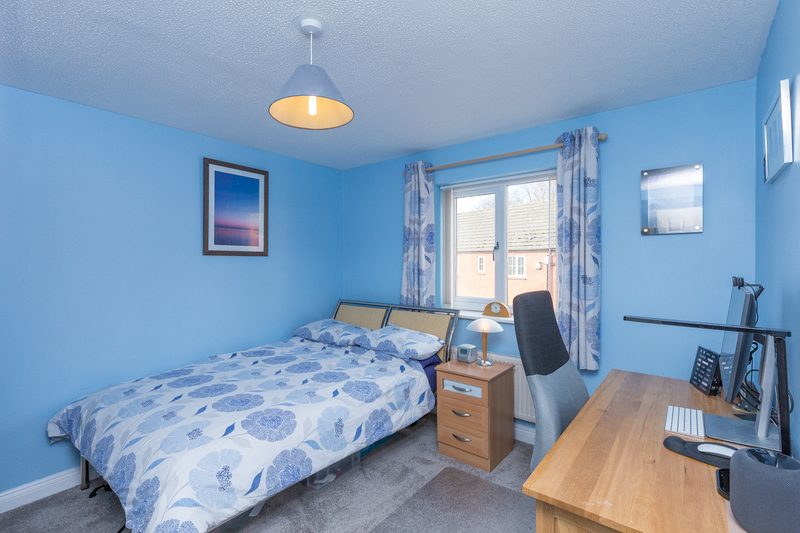 The property benefits from gas fired central heating (new boiler Dec 2017) with HIVE active heating control allowing you to control your heating and hot water via a mobile or tablet and replacement double glazed windows and external doors throughout. 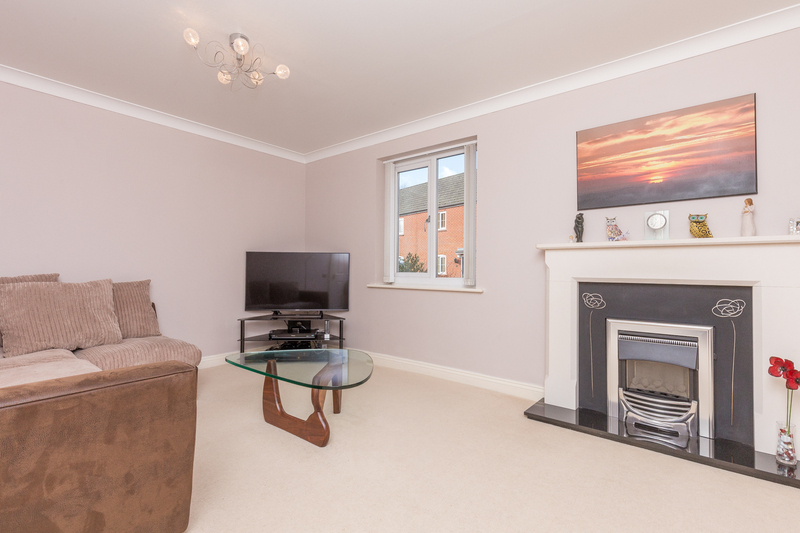 The accommodation comprises to the ground floor an enclosed entrance porch, reception hall, cloakroom, sitting room, spacious and contemporary kitchen/dining room with a separate utility room. 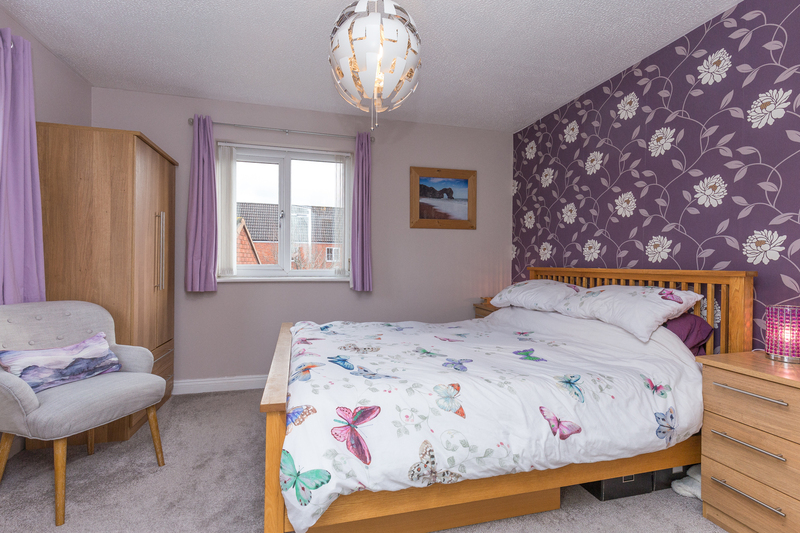 On the first floor a galleried landing gives access to a master bedroom with refitted en-suite shower room, three further bedrooms and a refitted family bathroom. 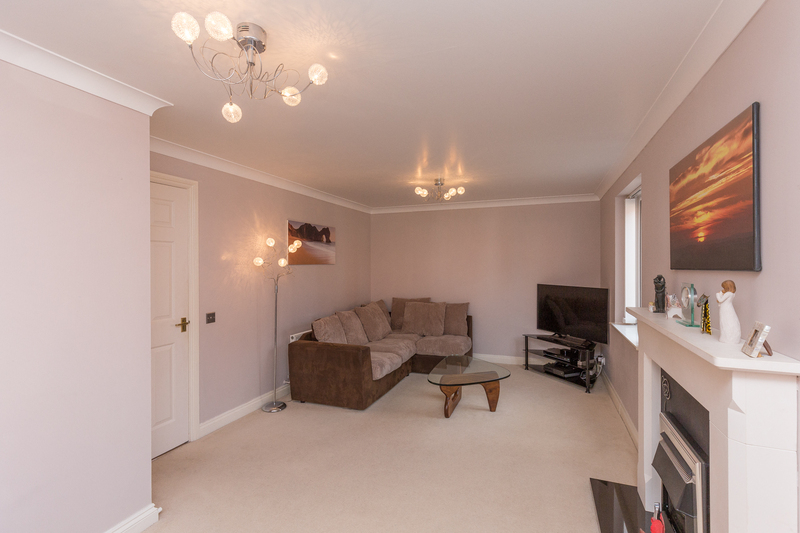 There is a double garage with driveway parking for several cars and a good sized enclosed rear garden. With contemporary double glazed front door. Coir matting. Double glazed door leading to reception hall. With stairs to first floor. Attractive gloss ceramic tiled flooring. Radiator. Telephone point. With wash hand basin and tiled splashback. WC. Radiator. Double glazed window to side. Wood effect laminate flooring. 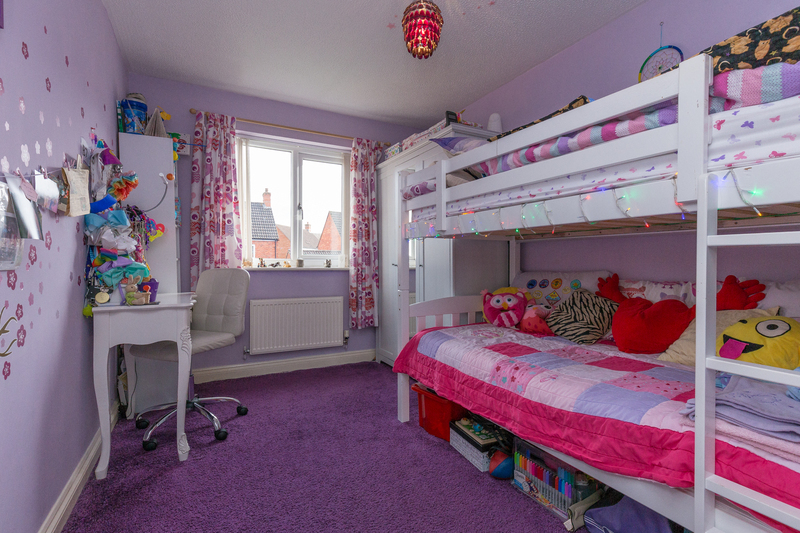 Bright and airy room with dual aspect double glazed windows to front and side. Gas fired coal effect fire with surround. TV point. Two radiators. 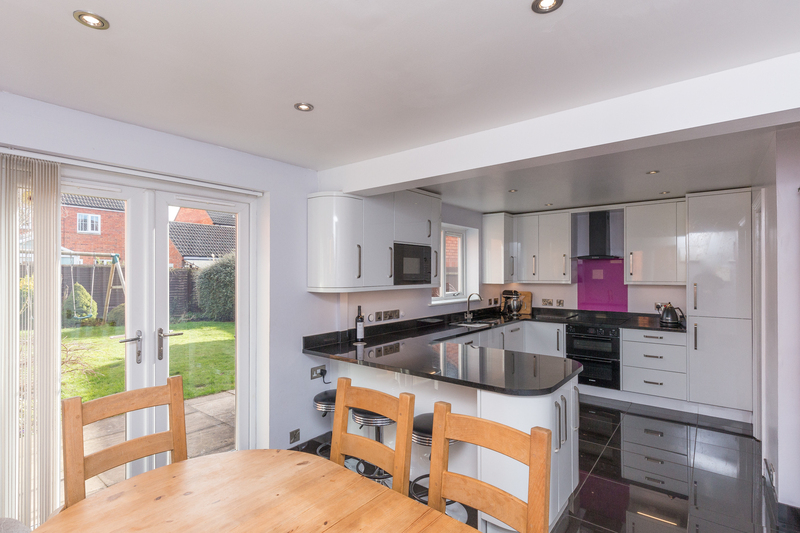 A light and spacious room refitted with a selection of white gloss units comprising drawer, wall and base units with useful tall larder pull out cupboard. Inset ceramic sink with mixer tap and granite worktops over with upstands. Curved breakfast bar with cupboards under with granite worktop over. 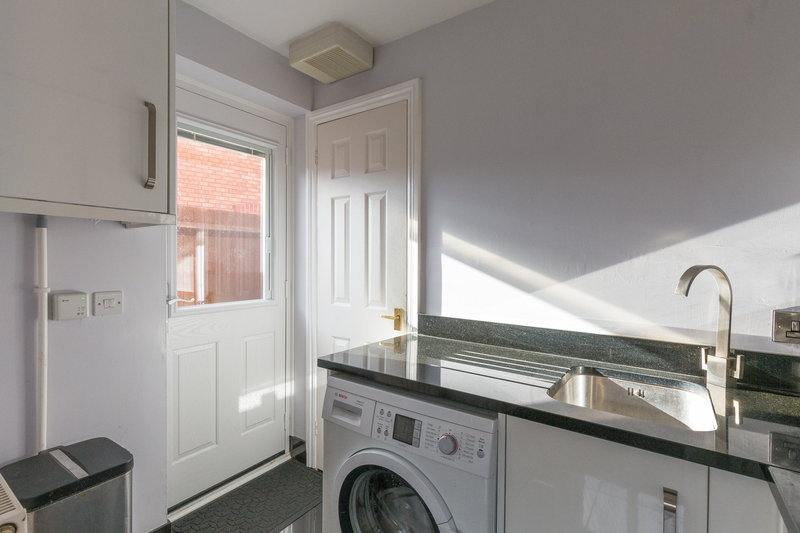 Integrated appliances including a dishwasher, Bosch electric oven with induction hob over. Glass chimney cooker hood and coloured glass splashback. Eye level microwave. Gloss ceramic tiled flooring. 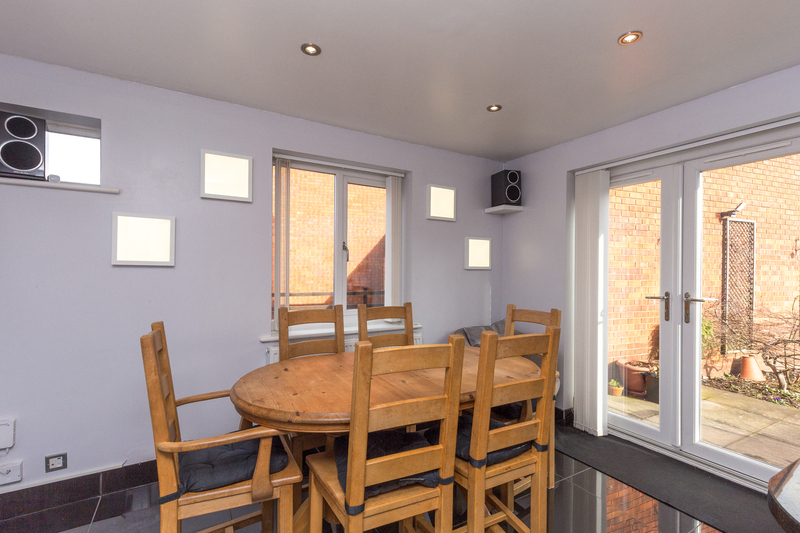 Double glazed windows to rear and side with French doors leading from the dining area to the garden. Ten ceiling downlighters. Smarthome light panels to the dining room and under counter lighting controllable from mobile / tablet. Electric underfloor heating. Radiator. Telephone point. 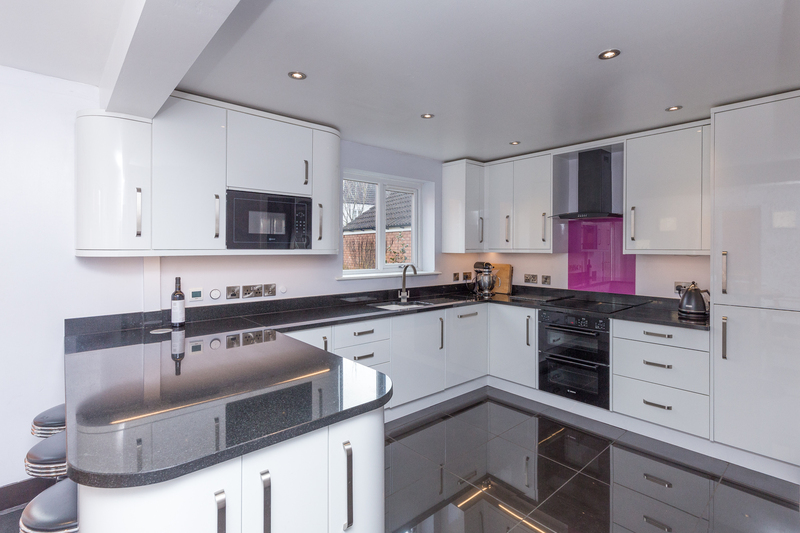 Refitted with white gloss units with stainless steel sink unit and granite worktops over. Cupboard housing gas central heating boiler (replaced Dec 2017) Plumbing for washing machine and space for tumble dryer. Useful storage cupboard. Double glazed door to side. Radiator. 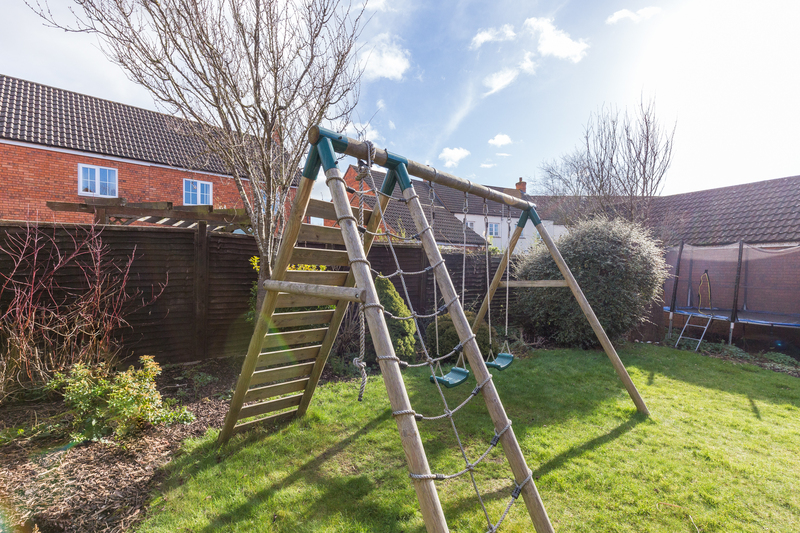 With access to partially boarded roof space with drop down ladder. Airing cupboard housing hot water tank. Double glazed window to side. Dual aspect with double glazed windows to side and rear. Radiator. TV and telephone points. 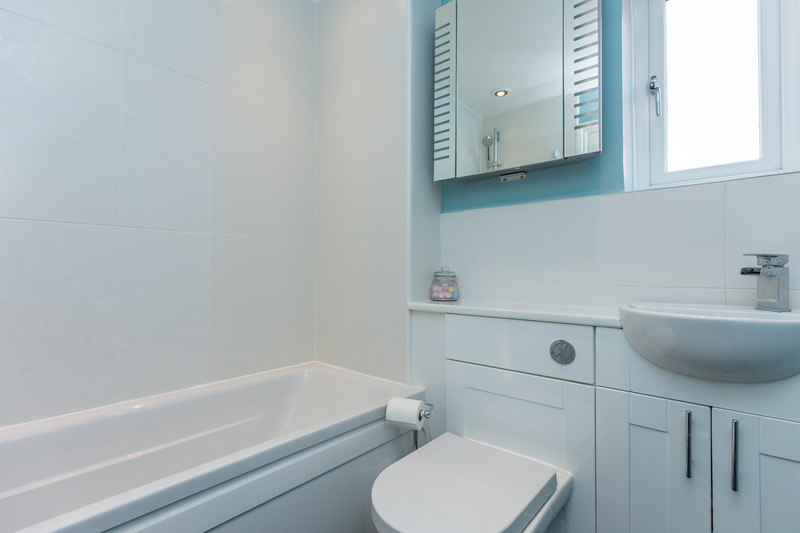 Refitted with a white suite comprising low level WC and wash hand basin. Shower cubicle with full height tiled surrounds. Tiled flooring. Ceiling downlighters. Double glazed window to side. Chrome towel radiator. 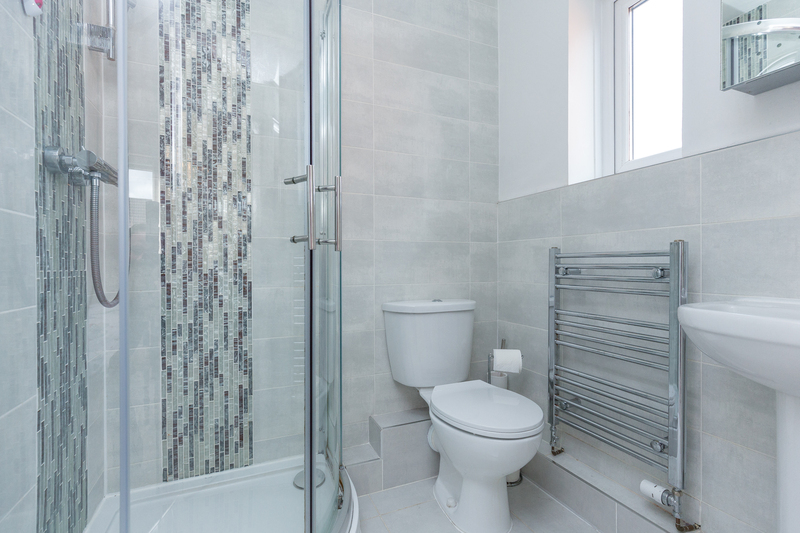 Refitted with a white suite comprising panelled bath with shower over and glass shower screen with tiled surrounds. Wash hand basin. Low level WC. Chrome ladder radiator. Ceiling downlighters. Double glazed window to side. Tiled flooring. 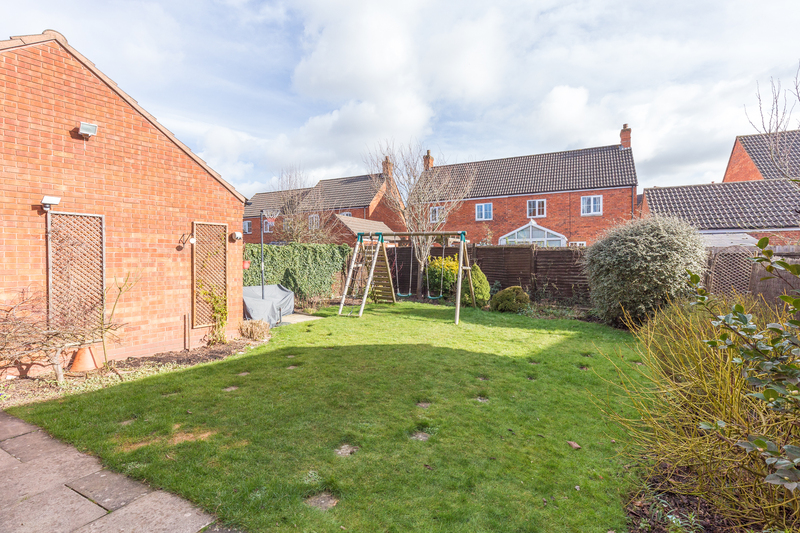 To the front of the property is a small stoned garden area with a selection of shrubs. A five bar gate to the side gives access to a driveway which provides off road parking for several cars and gives access to a double garage 16'11 x 16'10 with electric remote sectional door. 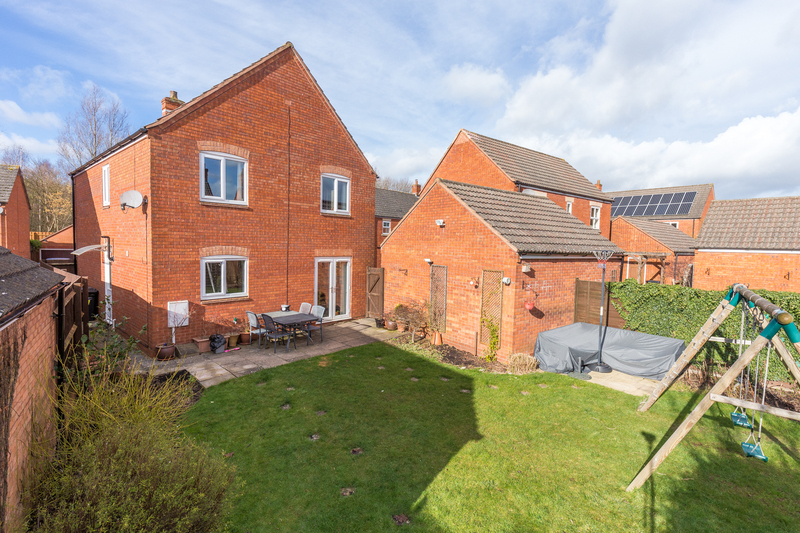 A gated pathway to the side of the property gives access to a good sized enclosed rear garden pleasantly arranged with a paved patio, lawn and well stocked with a selection of established plants and shrubs. There is an outside light and cold water tap. 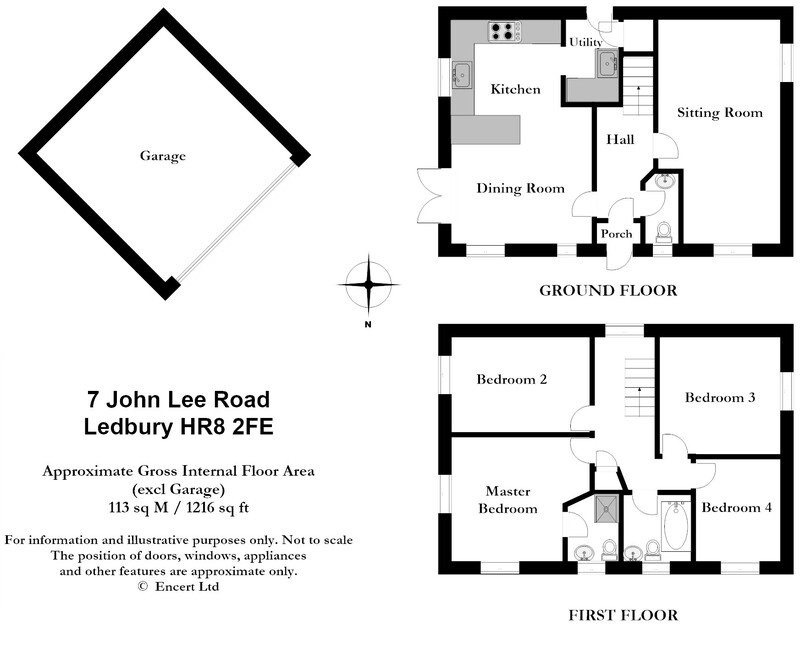 From the agents Ledbury office turn left at the traffic lights and proceed through the town centre. Continue straight over the traffic lights adjacent to Tesco and then bear left by the railway station onto the Hereford road. At the roundabout take the first exit into New Mills Way and then take the third turning right into Prince Rupert Road. Turn right again into John Lee Road and the property will be located on the left hand side.